The feeling of some unhindered “us time” can be best experienced by a couple when they find a place of repose, away from their daily hustle-bustle. Lovers like to escape from their daily routine every now and then to enjoy some solitude and rekindle their romance. Beaches, mountains, and lakes build the perfect backdrop for couples to spend some memorable time with each other. Club Mahindra has a grasp of all things that can set the mood right, and offers you set up some of the finest resorts across all such choice destinations in India, where you can let love takeover your senses and lose yourself in the magic of the moment. You can benefit from variety of Club Mahindra feedback from various websites online in order to have a complete know how about the resorts. This resort is the perfect destination for romantic getaways. Magnificent landscapes and beautiful vistas welcome members to the spellbinding palm shaped ‘eight-armed’ Ashtamudi Lake. The resort gives you the same blissful vibe every time of the year. The backwaters cruises and the deepest estuaries make this an impeccable place to celebrate the feeling of love. 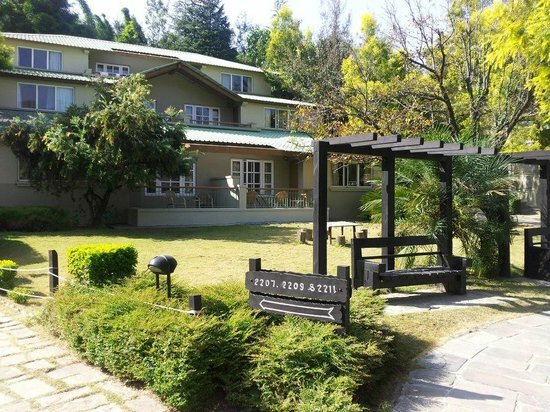 A lush green heaven awaits romantic couples at Club Mahindra Binsar Villa. Tucked deep inside the thick woods of Binsar, couples can reignite their romance in Australian log-cabins, which are a window to the most amazing scenery. This state-of-the-art resort and its surroundings will kindle the bond between you and your loved one and provide you with an unprecedented experience. Snuck in the Blue Hills of Nilgiris, Ooty is considered as a paradise for honeymooners. Considered as the “Queen of Hill Stations,” Ooty is teasingly referred to as ‘Snooty Ooty’ by romantic couples. The place always leaves couples with pleasant memories, as they indulge in romantic sightseeing in miniature train and visit the Ooty’s historic race course. The beautiful Club Mahindra resort rests in the heart of Ooty. The well-built rooms of the resort surrounded by exquisite gardens, beautiful landscapes and lavished sights add more flair to your romance and gift you a cosy and tranquil stay. Explore top holiday destinations with your family and have a comfortable stay in India’s favorite resort chain – Club Mahindra. Also, read through these Club Mahindra reviews and get a sneak peak of how our happy members are spending their family vacations at popular holiday destinations of India with Club Mahindra resorts!